Michael J. Sullivan, PhD candidate and current Visiting Fellow at Harvard, has been awarded the 2016 Gordon Duff Prize in the Arts of Manuscripts. 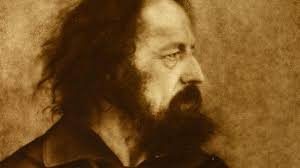 The prize was awarded for research into the poetry notebooks of Alfred Lord Tennyson. The Gordon Duff Prize is awarded by Cambridge University Library for an essay on a subject relating to the science or arts of books and manuscripts. It is an annual competition open to all members of the University.